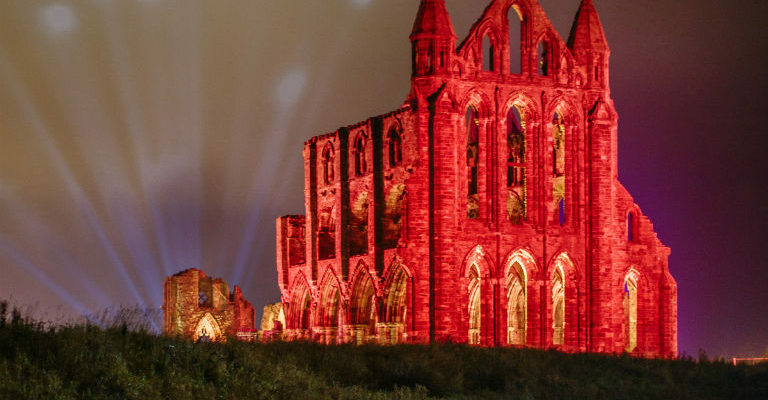 Whitby Abbey will once again be illuminated during the Halloween Week (25 – 31 October). Visitors will be able to experience the site after dark and wander through the dramatic ruins of the abbey famously noted for being the inspiration behind Bram Stroker’s Dracula. New for this year’s event are the terrifying Brides of Dracula, they will haunt the abbey ruins throughout the evening before returning home to dine with the prince of darkness on the blood of their victims. We have many dark tales to accompany our bright lights this year including a theatrical performance of Dracula…visitors can see the horrifying story unfold as Van Heilsing battles the forces of evil, all with the spectacular backdrop of the abbey ruins bathed in light.